For most of the summer I have been eagerly planning a birthday bash for my beloved Mom, who turns the big 6-0 in September. 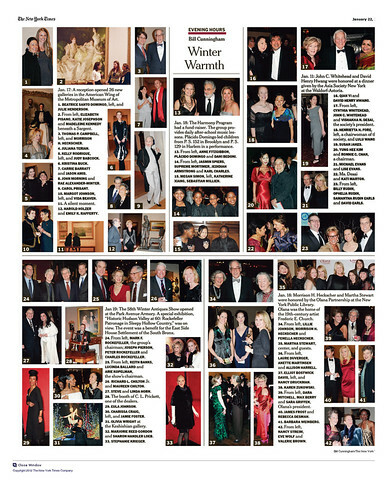 It's been cool to brainstorm together and think of various means to make the party feel as special and fun as she is. 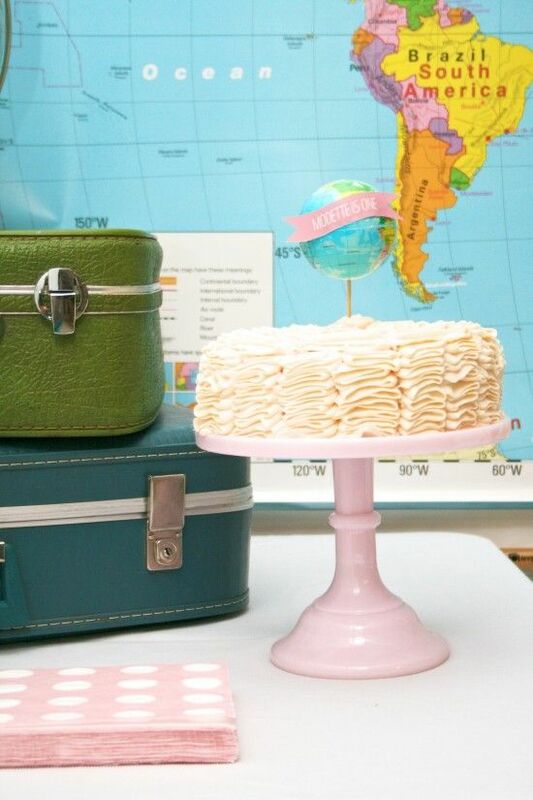 Needing a theme, we decided to reference her worldly ways and make it a travel-focused party complete with tons of vintage maps and globes (my favorite!). After the party I will be excited to share all the fabulous projects I put together, but in the meantime I thought I would feature some of my inspiration. 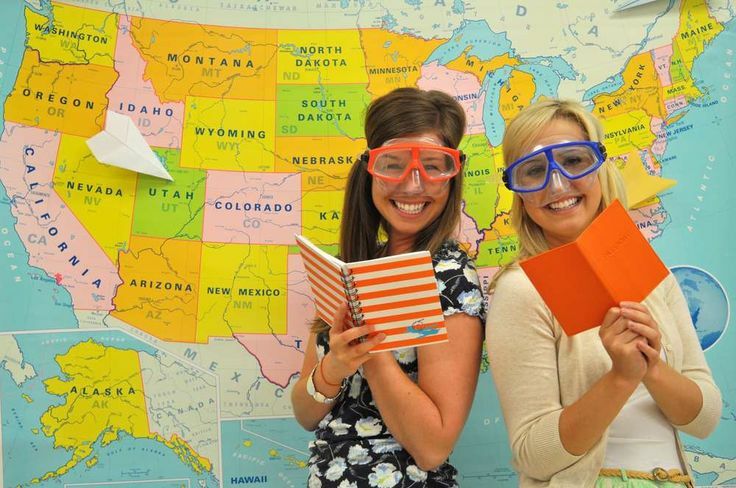 A bright, cheery teacher appreciation party. How awesome is that pull down map? I may have bought one of my own . . . This classy globe-focused wedding. 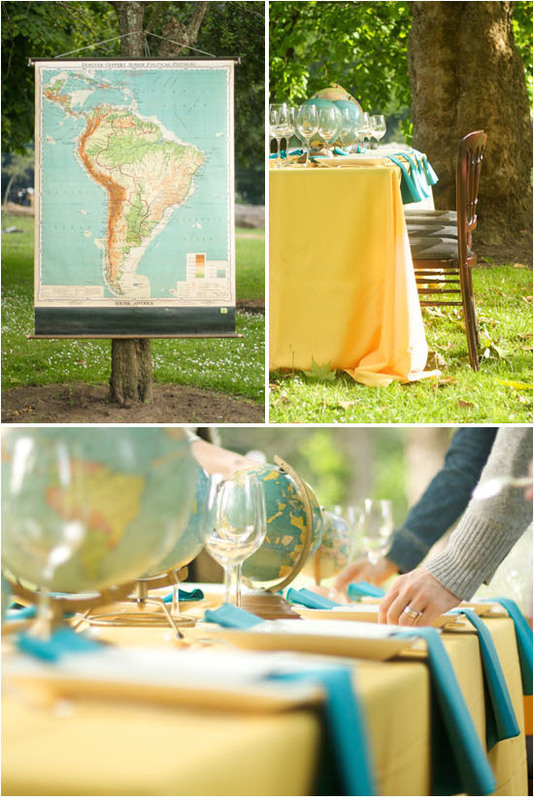 I love the idea of vintage globe centerpieces! This cake topper is too cute, perfect for that first birthday party! 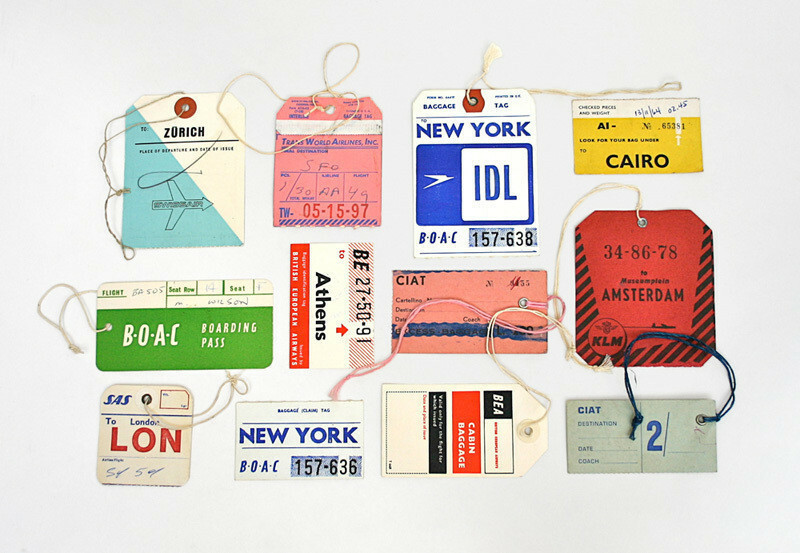 The moment we decided to go with the travel theme, I thought of this print by Lisa Congdon as inspiration for the invite. Aren't they great? So here are some of the pretty things I am thinking of incorporating into the party. 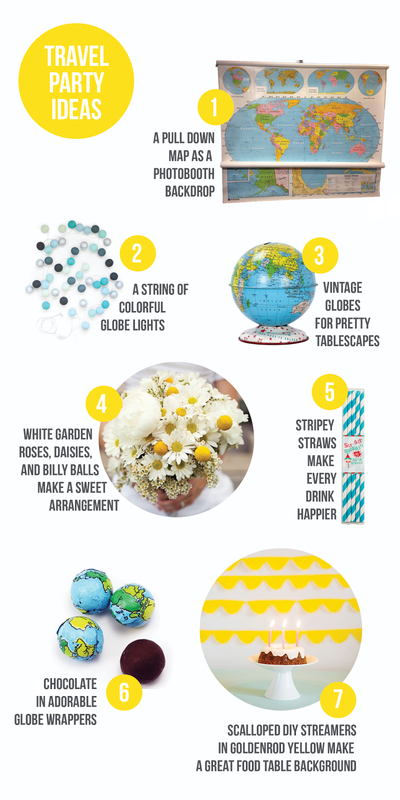 Clearly we are going with a light blue, turquoise and yellow color scheme (conveniently similar to my Dad's party last year) with pops of other bright color here and there. Overall we want to capture the vivacious, fun-loving, adventuresome character of my dear Mom and, with these sweet ideas, I think we can do it! Any other travel-themed things you can think of that I missed? Suggestions are welcome!